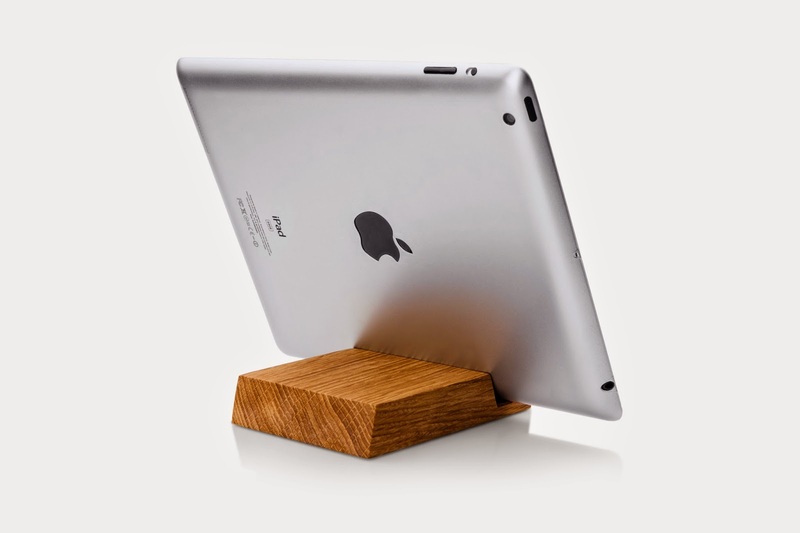 Oak wood iPad Stand. Solid wood handmade holder for your tablet. Oil finishing enhances wood structure and makes elegant matte surface. Fits to many types of devices. Would you like this item to be engraved with a name or initials for a personalized gift? Is it only for iPad? • No, it's compatible with many other brands. 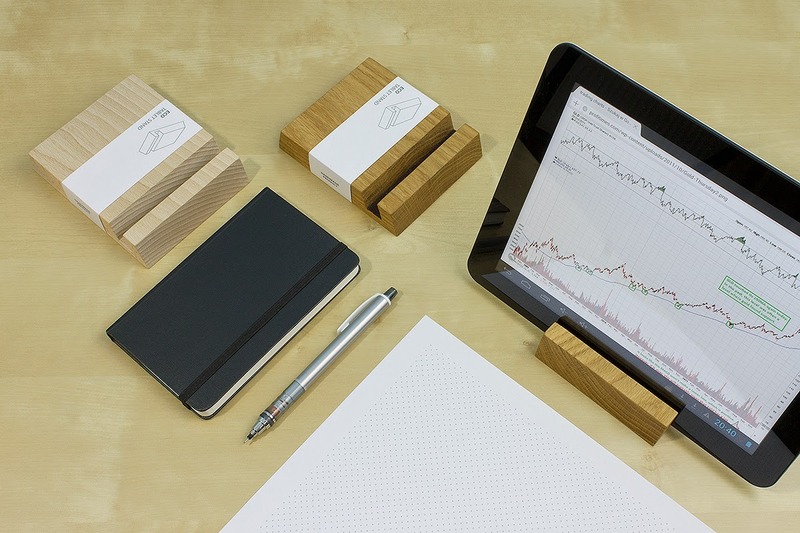 How sleek and contemporary is this wooden iPad holder? When you want to prop up your iPad on your desk, a table or kitchen counter, this iPad stand moves easily from room to room. You can even throw it in your laptop bag. 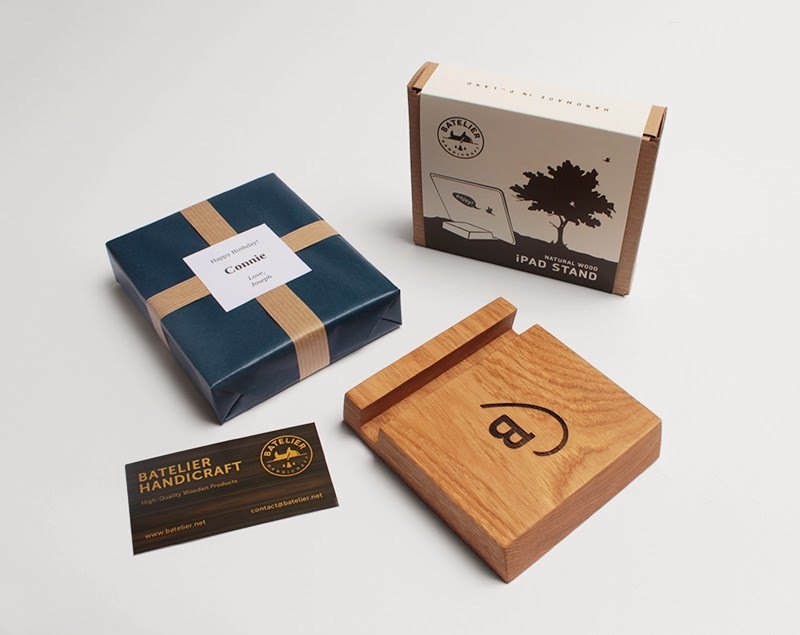 Artistically handcrafted from start to finish, it is made from natural oak wood with an angled slot that safely holds your iPad in an optimal, upright viewing position. You can also choose to have the slot lined with felt for additional protection and stability. Use it for displaying videos or playing games as the bottom ridge covers no part of the iPad screen. It is a must-have accessory for any iPad owner. Available in your choice of a non-toxic pine oil finish or raw wood finish. 11.5 cm l x 10 cm w x 2.5 cm h, each slot 1.2 cm (4.53” l x 3.94” w x .98” h, each slot .47”). Batelier Handicraft is a brand which we established in 2013. From the very beginning, our main goal has been to provide high quality, eco- wood products. What is the most important, these products are handmade . For each of them we have an individual approach. We believe that true craft is able to offer much more than a mass production. Our products have a soul and a piece of heart left inside them by their author. We design them ourselves and we try to give a unique character to the ordinary things. We are paying a particular attention to their functionality and ergonomics by appropriately adjusting the parameters such as weight and dimensions. It is also important for us to end them well, an adequate treatment makes the finished product gains a high quality. We use various types of hardwoods such as beech, maple and oak. We use only solid wood and adequately moist. The use of this precious material makes products present themselves very elegantly. To end with, we mostly use natural oil such as pine oil. At the end we cover the wood with a layer of oil that makes it breathe freely, highlights its texture and gives a pleasant matt appearance.